Match your Feng Shui changes to the seasons to attract wealth, harmony, love, and much more. Whether or not you are Asian, Chinese New Year is a good time to make some Feng Shui changes in your home to assure that positive energy, good fortune, and harmony will fill your home during the coming year. This article describes four simple changes you can make in your home. One great way to start your year with some positive Feng Shui is to create lots of room for good things to flow into your life by removing clutter. Here are four clutter-clearing strategies for the New Year, or for any time you want to make room to attract wealth, harmony, and love. As you enter the New Year, read about six Feng Shui suggestions for things to bring with you to attract wealth and prosperity in the year to follow. These recommendations focus heavily on the color red, which is a powerful symbol in Feng Shui of wealth and prosperity. Looking for a few ideas to help you clear away clutter as you transition from summer to fall? Learn how to bring the power for Feng Shui to your autumn clutter clearing, both inside and outside of your home. Add a little Halloween Feng Shui into your “witch’s brew” to assure a fun and festive holiday for the whole family. Halloween Feng Shui involves using the colors orange and black, decorating your front door, adding lighting, and displaying spooky animals and cobwebs. Passover and Easter are both spring holidays, and no matter which you celebrate you can use a few Feng Shui principles to assure harmony around your holiday table. It's hot! 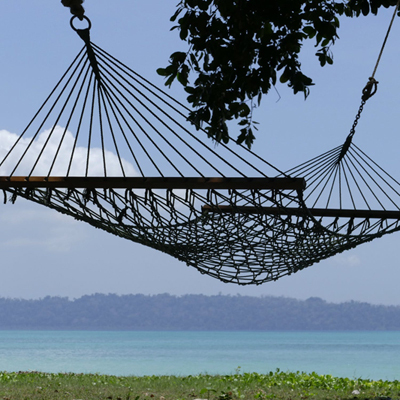 Whether you are planning a summer trip, taking a "staycation," or simply staying home, these 10 summer Feng Shui tips will help you cool down and move forward through the "summer burnout." Where Do I Place My Christmas Tree? If you are looking for Feng Shui help to determine where to place your Christmas tree this year, the tips in this article will help. Also includes advice on the best decorations for each location.